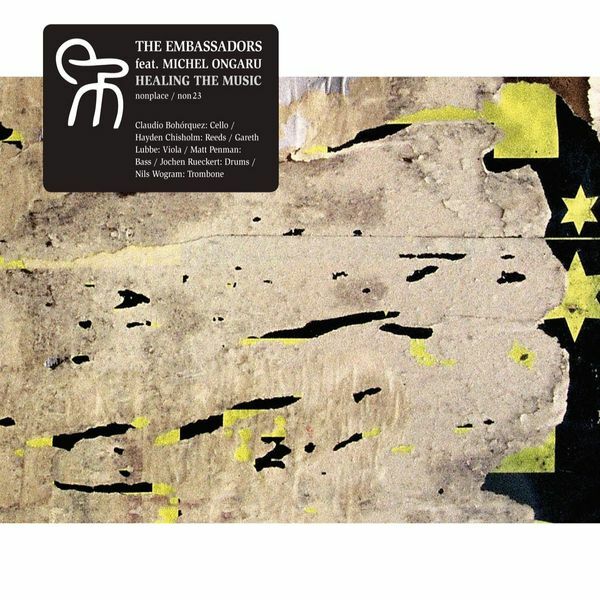 A musical venture fronted by reed and keys player Hayden Chisholm, the horrendously titled Embassadors has a very pan-global sounding theme, features appearances from label boss Burnt Friedmann, a host of international musicians and a central vocal performance from Kenyan singer Michel Ongaru. The album uses world-jazz as its starting point but pursues a number of different themes, ranging from the deep reggae rhythms of 'Jipe Moyo' to gently romantic ballads propped up cello and viola, as per 'Wimbo Wa Wana'. This is an album that dips into all manner of sub-genres and styles of arrangement, but successfully sidesteps the dreaded 'world music' classification, by never descending into awkward pastiche. Instead, Healing The Music (actually, that's a dodgy world music title if ever there was one) relies on fusions and musical hybridity for its success, supported by magnificent instrumental presence from the assembled performers.